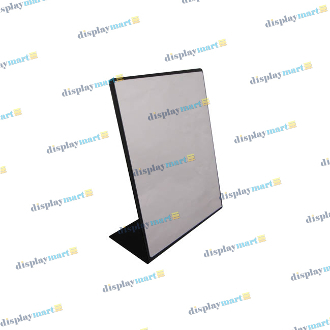 Selling accessories has never been easier with the help of the acrylic countertop mirrors found on DisplayMart.com! Available in two sizes, 5"W X 7"H and 9"W X 12"H, these mirrors are a single piece acrylic construction, bordered in black, for a rich look that will enhance any d?©cor. Allow your customers to easily see how stunning they look in your eyewear, headwear, or jewelry, and watch your profits grow!